My issue: it isn't a spirit and it is for sure not a gin. No - in my eyes, sloe gin (while indefinitely better) is also not a gin - it is a gin liqueur. Gin IMHO is a spirit - and spirits don't have sugar (and if they have, the sugar is just for the sake of rounding - that means, just taking the harshness of the spirit - without making the spirit "sweet"). A liqueur is a sweetened and often lower proof spirit. 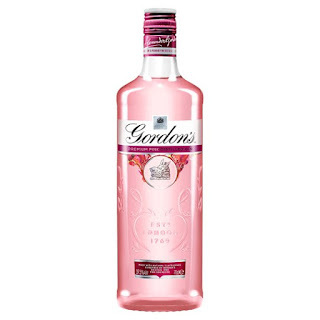 And this is what this Pink Gin is. I am also not 100% sure, if it is correctly targeted at ladies. First it is a stereotype, that girls like it always sweet (men are counting far less often calories - and sweetness is = sugar = calories). Tonic is usually also very sweet - hence to have a sweet gin on top of a very sweet (and bitter) soda pop, isn't necessarily the most intuitive decision, Gordon's could have done. Second: gin as hyper trend has also a reason: complexity and (more or less) seriousness. Yeah - the vodka trend is not weakening anytime soon - however the gin-wave has been quite a counterpoint to the "neutral A.F." attitude. To make an "unserious" gin seems not very smart. The internet reviews are widely inconclusive - but there aren't a lot of people, who rate it mediocre - it seems that some people absolutely love this product and the rest are really hating it. That doesn't happen so often for a product which should have rather mass-appeal - but it is quite interesting to see. You should try and decide for yourself! Yeah - there you have it - one pretty un-opinionated verdict! 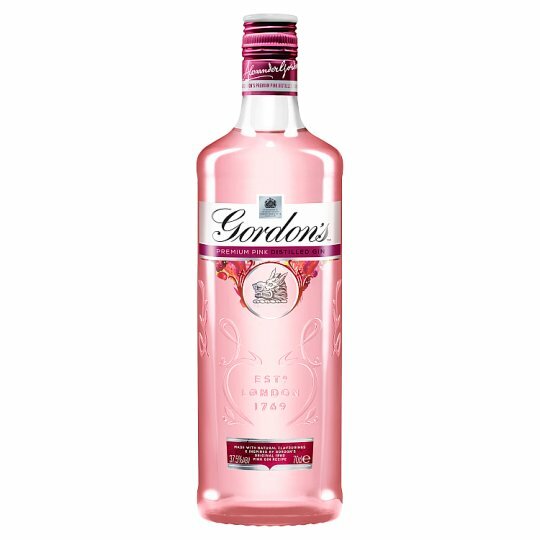 I find Gordon's Pink Gin not offensively artificial tasting. I don't find it very low quality. I find it a "girly" stereotype gin-based berry liqueur. Probably not consumed with tonic but with a dryer sparkling wine. It is for sure not for me - but that doesn't mean, that it is not for you. I feel so indifferent about it, that I cannot even hate it. But here is the elephant in the room: the moniker pink gin. While some categories haven't given us a proper definitions of spirit (think about Old Tom Gin - even though it is a classic style, different producer have completely different approaches to produce this type of gin) - pink gin has basically only one common denominator: the gin is more or less pink. There are companies which are going the cocktail root - which is basically gin mixed with bitters. Others are making a gin, which they simply color (either way they just add color to their mostly unique gin recipe - or they infuse their gin with specific reddish/pink botanicals), others are making a liqueur. This really shouldn't be the case, because the consumer doesn't really know, what they will end up with - which is bad for the category, bad for the producers, bad for the customer, bad for the retailer. The pink aspect also just takes away some of the credibility of gin producers (and the gin category), which also isn't necessarily a good thing. That's why in principle, I am not a fan (also, I am not really in love with pink...).